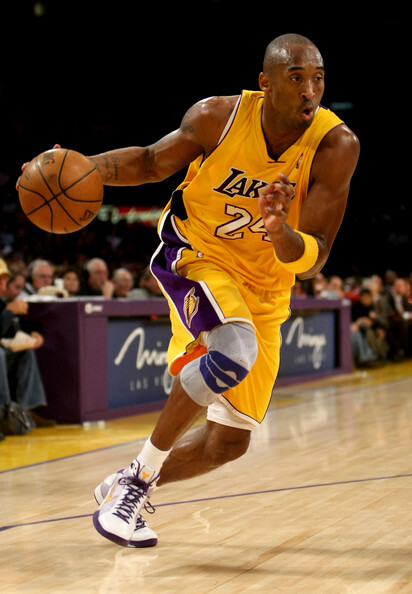 Kobe Bryant has returned and after awaiting 19 regular season games, the Black Mamba is finally back. Bryant made his return to the court Sunday night against the Toronto Raptors in-front of his fans, inside the Staples Center. Unfortunately for the Lakers, they fell to the Raptors 106-94, and against the Phoenix Suns Tuesday night, Los Angeles fell short again, 114-108. In both games, Bryant played just 28-29 minutes, easing his way back in. Now lets breakdown Kobe Bryant's two performances thus far. Bryant struggled early in the game with his shooting, as his first buckets did not come until the second quarter. After going 0/2 in the first, Kobe got back on track in the second, making a free-throw and 2 jumpers. In the fourth quarter, Bryant made a pair of free-throws and made two more later in the quarter, but that was all, no more jumpers for the rest of the game. Kobe finished with 9 points on 2/9 shooting from the field and 5/7 from the free-throw line. You could tell he was a bit rusty and struggled to find consistency. Something I noticed was that Kobe was more of a facilitator in this game. He wasn't necessarily hesitant, but he wasn't as explosive as the real Black Mamba we all know. What I really liked what the fact that Bryant finished with 2 steals, 4 assists, and 8 boards. His variety in contributions is key, and he got involved with his teammates very well. It was great to see how he tried to find his teammates very often throughout the game. Bryant also seemed to be moving up and down the court well, and at times played some solid defense. One major negative was turnovers as Kobe led the team with 8 turnovers in this game. While Bryant's performance wasn't great, I did see several things that did impress me. Midway through the first quarter, Bryant showed us all something we've been wanting to see; a great dunk. This was awesome to see because it's a sign of complete explosiveness soon to return. Bryant's shooting was much more efficient, as he finished with 20 points on 6/11 from the field and 8/8 from the line. Kobe's turnovers went down to 3, but he grabbed not nearly as many boards and dished out not as many assists as his previous game. While he did not fill the stat sheet as much in this game, his efficient 6/11 shooting was a great sign. Hopefully Kobe will be at 100 % shortly, because with this crazy, close Western Conference, the Lakers are going to need everything they can get out of the Black Mamba as soon as possible.